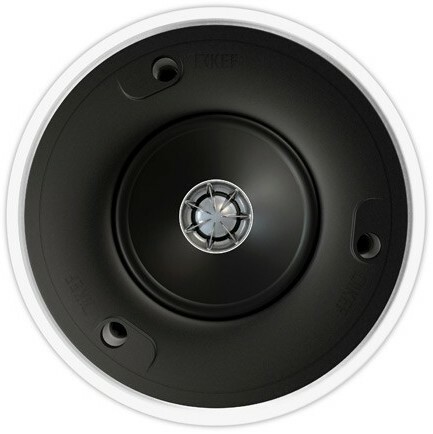 KEF Ci100.2QR custom installation speaker is a 100mm diameter in-ceiling speaker purpose-built for flush mounting into walls and ceilings and delivers KEF's renowned audio quality as unobtrusively as possible. Part of the Soundlight Series of unobtrusive architectural speaker designs, the Ci100.2QR is meant to match the aesthetics of flush-mounted downlighting. 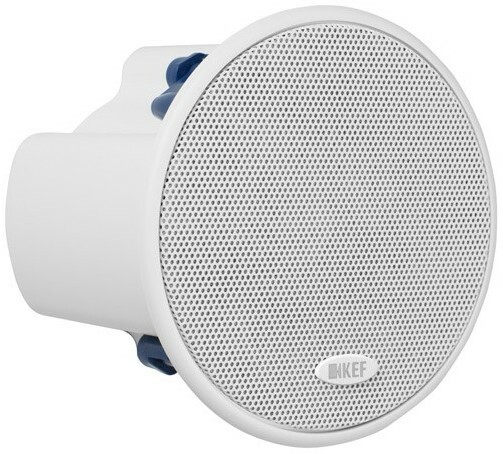 KEF’s trademark Uni-Q technology has a decisive performance advantage in ceiling mounting applications, because each point source driver array evenly disperses the sound, ensuring a smooth frequency response over a large area to create a spacious three-dimensional soundscape with genuine texture and depth. As a result, the Ci100QR is as satisfyingly musical to hear as it is neat in appearance. Providing a compact solution to the problem of Hi-Fi quality sound from an in-wall/ceiling speaker, the 100.2QR consists of an 100mm polypropylene cone LF driver with the 19mm HF unit mounted at the acoustic centre of the LF unit. The bezel and grill can be painted to match the interior décor. The Uni-Q drive unit is well renowned for its excellent dispersion characteristics, making the Ci100.2QR perfect for installation in non-uniform environments, without compromising the reproduction across the listening area. 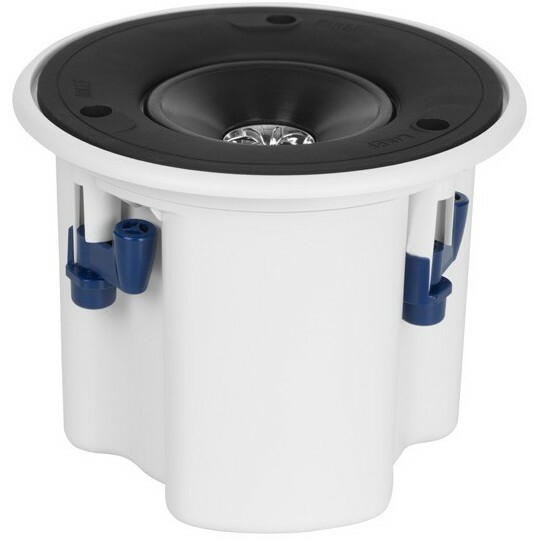 The 15cm deep detachable back-can supplied with the product provides a sealed enclosure of 0.7 litres volume for optimum low frequency reproduction. 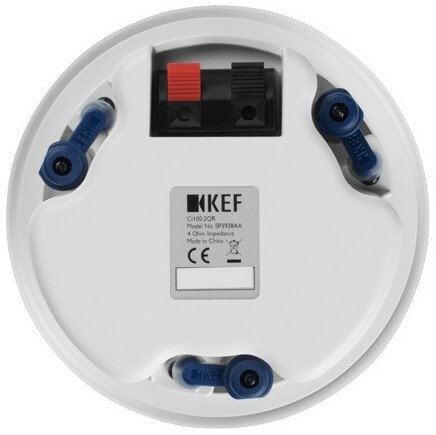 Sprung fixing clips give flexibility of installation in ceilings and walls varying in thickness from 6mm to 30mm. - Airports, Convention Centres, Hotels. - Live Theatre/Concert Hall fill-in.